Welcome to a bit of self congratulation. I'm going to be 30 in two months and this birthday represents 20 years of being into rollercoasters and theme parks. Instead of getting smashed and wondering where my life went wrong like a lot of thirty year olds normally do, I'll be out celebrating at Heide Park and finishing my B&M collection (before Fenix and Valkyire open, those rascals). Everyone loves lists right, so I decided to put together my top 100 rollercoasters and talk about them in a sentence or two. I hit 250 last year at Walygator and am currently on 253. Unfortunately this was a little too early to include Oblivion: The Black Hole or Icon but does include the Wicker Man. I wanted to do this now before I hit Cedar Point where I imagine my top ten will be smashed to pieces. So I hope you enjoy the first installment or at the very least, comes across as slightly interesting. 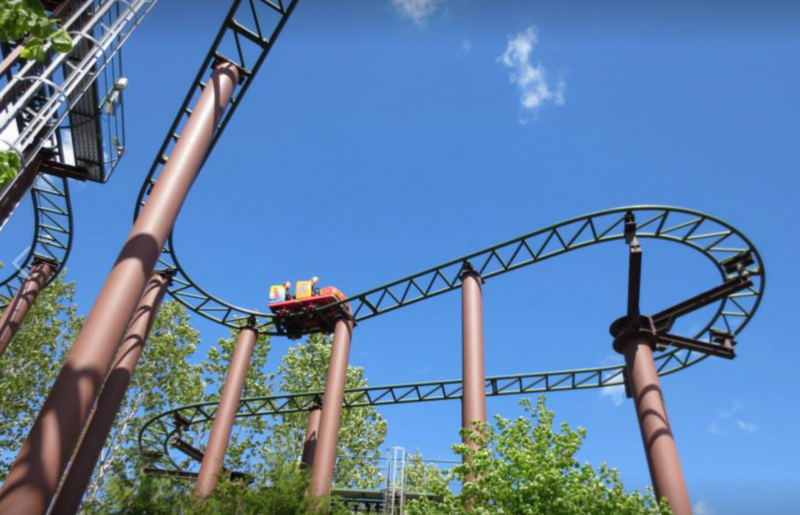 Whilst this is nowhere near the best Gerstlauer bobsled out there, it's a nice, safe, dependable ride that gives a good starter coaster for young riders. The thing with this ride is it doesn't feel complete. There are parts of the ride I really like that really are let down by the stretch between Lift 2 and 3. It's a real shame that this couldn't be the support coaster to Dragon Khan and Shambhala that it needs to be. As it stands, it's an okay curiosity and nothing more. This is the most important rollercoaster in my top 100 as it was the very first. 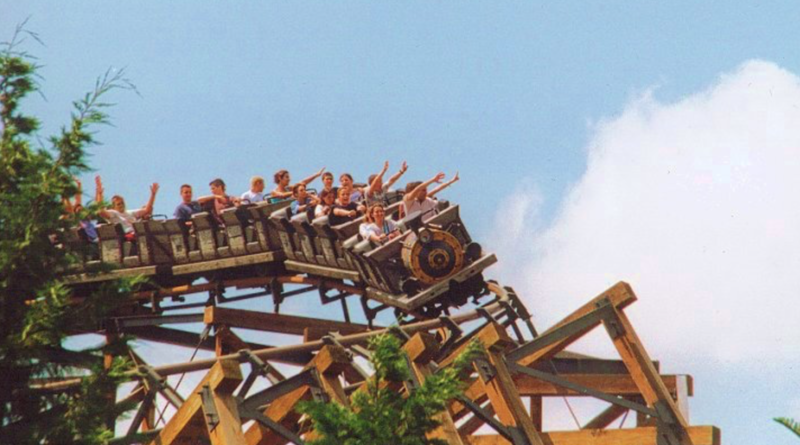 Yes before Nemesis, before Katun and Alpina Blitz or even Corkscrew at AT, there was the Runaway Mine Train. My memories of that first ride are pretty hazy this point. I know I was tricked onto the ride by my uncle and I know that I was scared out of my wits. Even though this is no Colorado Adventure, four year old Mark came off astounded and so impressed. Even though it's re-dressed now and is far less themed, it still makes an impact. 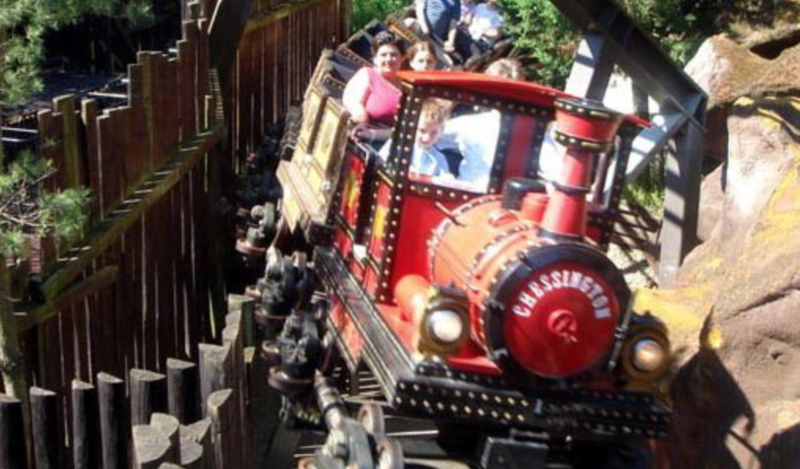 It was my favourite ride to operate when I worked at Chessington, the first day I operated the ride by myself, the last ride of the day gave me a round of applause and they are memories that I will never forget. Another Mack, this time the Alton equivalent. I've always been rather fond of the mine train but I'm afraid it seems to be getting slower and slower each year. Ever since its crash in 2006 its always come across as a shadow of its former self which is a shame as its original layout and interaction with the Rapids is second to none. I must admit to not being that well learned on the Blue Flyer, having had one ride on it however I remember it being pretty impressive for a family wooden coaster. Will make the effort to ride a bit more on the next visit. How could one not be impressed by the Flying Dutchman, well the inside in any case. This was my first ride at Efteling and I was simply blown away by the dark ride section of this water coaster. It's a shame that it falls to pot once it emerges into the sunlight but for all intents and purposes, the inside is fantastic. The inside section of this rollercoaster is worth the ticket alone, it's a shame that the rest of the coaster is somewhat.. short though as just when it feels like its about to get going, you hit the break run. Falling off that lift hill to 'I will Survive' is an experience I will never forget. Which is good because the rest of the attraction is completely unmemorable. It's an okay coaster but its not really deserving of being a Universal coaster. I know what you might be thinking, how could a B&M be so low?! Well to be honest, I've never got on with the Batman clone. Whilst the intensity sure is there, the bang bang bang of inversion has never really appealed and its rather basic layout always leaves me feeling a bit cold. Cobra is so silky smooth it feels like you're about to take a nap. It's a great coaster and fits right into Paultons but if you're looking for something a bit more aggressive, this is not the place to go. And with that its 100-91 complete. I hope you enjoyed your nice nap if you got this far (or read at all). Feedback would be lovely. Until next time. I came in expected all 100 creds in one post. I am disappoint.